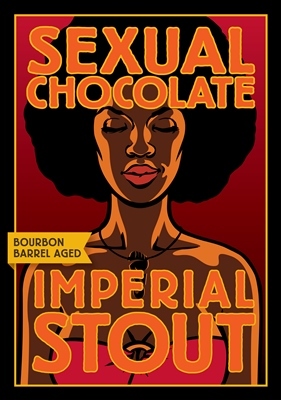 Bourbon Barrel Sexual Chocolate, that boozy, heady elixir you all know and love, is back. This year, for various reasons, we’ve had to move the release date up from its traditional date during the first weekend of September. This year’s release will take place Saturday August 8th. – We always throw a Bottle Share Pre-Release Party on the Friday night before the Saturday event. On August 7th beginning at 7:00 pm, we’ll open up the brewery portion in back of our brewpub at 638 West 4th Street in Winston-Salem for anyone who wants to come and hang out. Chef Shane puts out a terrific (complimentary) spread of appetizers. 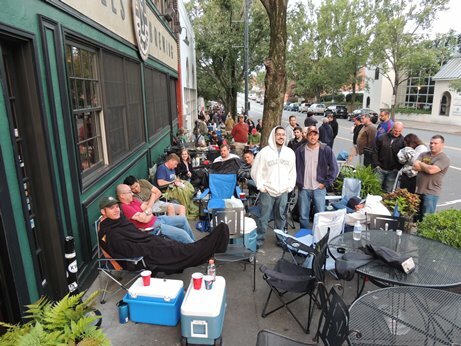 Price of admission is a bottle or two (or three or four) of something rare, unique or coveted in the craft beer world. Interpretation of that description is up to you; however if you show up with a 6-pack of Shock Top mocking is sure to commence. – City police officers will be on hand overnight—this will no doubt prove completely unnecessary, since we all know what a well-behaved lot y’all are. – There’s a rumor that those nice officers will let you enjoy your own, um, refreshments until daylight. We can neither confirm nor deny . . . we will, however, refer you to the aforementioned good behavior. – There will be portable restroom facilities in the back parking lot. Insert sigh of relief. – Bottle sales commence at 9:00 am. 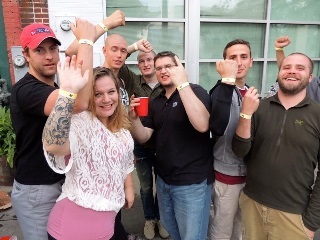 You’ll be summoned by your wristband number in groups of 50. Bottles are $20 each, limit 8 per person. Any questions about that? Then the answer is 20 and 8. And yes, that is another increase on the bottle limit. We take all forms of payment — cash, credit cards, first born . . .
– IMPORTANT: Bottles and draft both tend to move quickly. Please plan accordingly. If you show up late in the afternoon and complain bitterly that there’s none left, you will only create bad karma for yourself. That and the staff will be doing impressions of you until next year’s release. Also, please do not ask us on Facebook or Twitter what time you should get there to get bottles. WE DON’T KNOW. Every year is different. – ALSO IMPORTANT: we will not have a lot of extra boxes or bags – that would uncomfortably expand our carbon footprint. Please bring something to safely cart away your newly purchased liquid treasures. How big? About 8 bottles big. 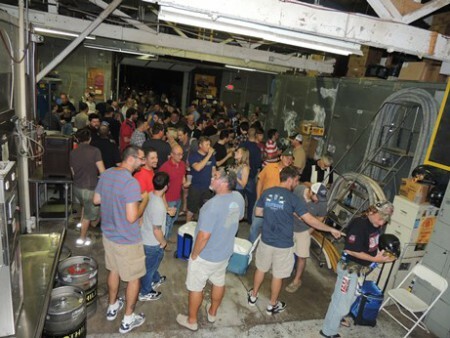 Categories: beer, beer releases, brewery, craft beer, north carolina craft beer, party | Tags: beer, beer releases, brewery, craft beer, craft brewery, drink local, North Carolina craft beer, Sexual Chocolate | Permalink. I have a concern that the label, an attractive woman of African descent with the label “Sexual Chocolate” could be off-putting in a diverse town like Winston-Salem. Nothing wrong with the name, but brown skinned people aren’t made out of “chocolate”, and they are no more sexual than those who are lighter-skinned. Ironically, I love chocolate alcoholic drinks, but this gives me pause.